Contract Signed - Tenant just moved out, apartment has been returned to triple mint! Tranquil and well-designed, fully renovated Loft Studio in one of the most sought after buildings in the West Village. This apartment was designed with thoughtful, high-end renovations throughout that include a separate and ample sized gourmet kitchen featuring Shaker style walnut cabinets with under mount lighting, stone counters and stainless appliance package. The spa like bathroom with beautifully patterned tiling you appreciate the superb finish and oasis feel. You will find excellent storage, deep tub with glass doors and as an added bonus the shower features a hand-held wand. The main room is truly spacious and will certainly accommodate your living and dining furniture well, leaving perfect placement of your bedroom set. This apartment has ample custom storage that will most definitely accommodate all of your belongings; beginning with a 9 foot long custom closet with chic metal barn doors that the owner had specially commissioned (art pieces in themselves). 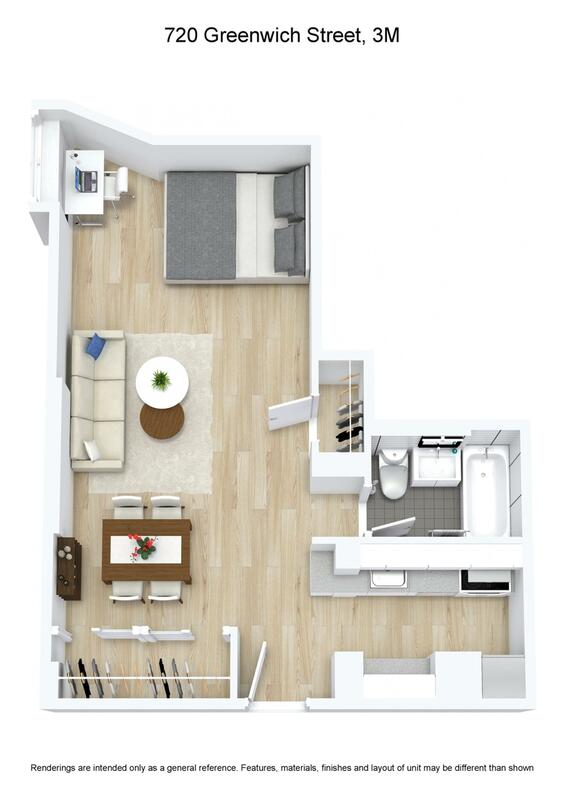 Additional features include high ceilings, recessed lighting, and thru-wall air-conditioning. This is a unique opportunity to live in a fantastic, spacious and beautiful Loft in a Landmarked Doorman building in the heart of the West Village at Perry and Greenwich streets. The apartment gets South/ West sunlight and is whisper quiet. There is ample laundry on each floor.Subletting /pied a terres/ co-purchasing buying allowed. 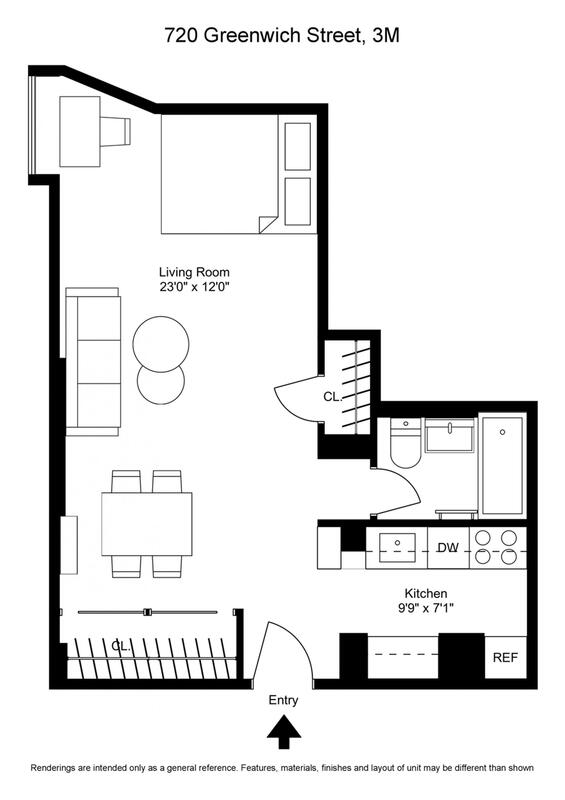 This is a doorman building, with a planted roof deck, bike and extra storage available, parking available on site, ample laundry on every floor, super in building and pet friendly. Its truly a rare to find such a tastefully renovated apartment in the west village that also has all of these amenities.Buyer pays 2% flip tax.